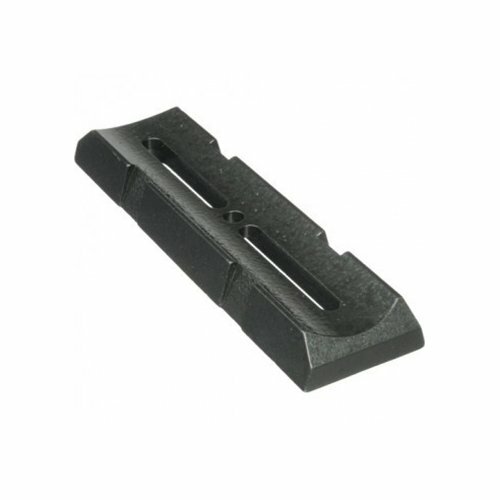 This general purpose Vixen-Style dovetail is 6" long and includes slotted holes for easy mounting to your own optical tube. Attach this to your scope, then use it to mount the scope assembly onto a suitable Vixen style Saddle Plate on a mount. Construction is cast aluminum. Includes two 1/4-20 by 1/2 inch socket head cap screws which are compatible with many popular models including Meade Coronado telescopes such as the SMT60 and SMT90. Comes with 2 mounting screws. Screws are short enough they won't protrude through the rings and damage scope. Dovetail has a hole in the center, and two slots that together cover almost the full length of the dovetail. This is a nice economical Vixen style dovetail plate for the Coronado scopes. I put it on my double stacked SolarMax II and I just wasn't feeling confident. Not so much with this piece as I was with the connection to the mount. The DS 90mm is quite a beast!!! I feel much better with a Losmandy style dovetail plate and connection for this scope.